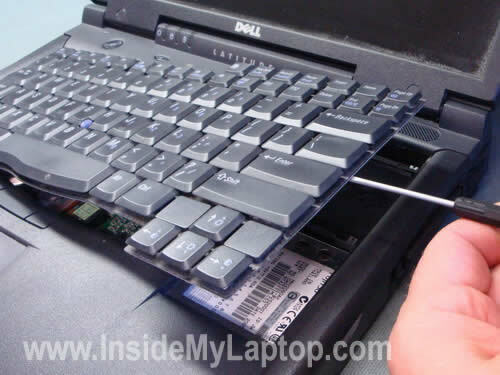 In this tutorial I show how to remove and replace the keyboard on a Dell Latitude C840 laptop. This is a few years old computer but I still like it and use every day. The removal and replacement procedure is pretty much straightforward and shouldn’t take more more than 15 minutes. On the bottom you’ll find four screws with a letter “K” witch means keyboard. Remove all four screws. 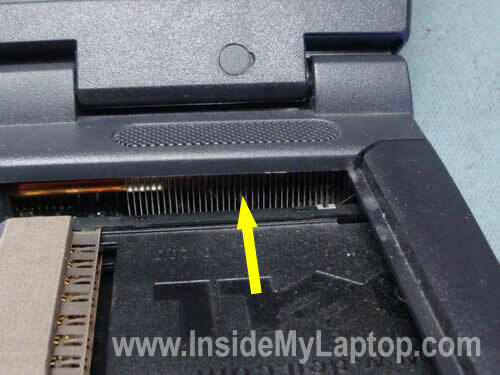 Insert a small flathead screwdriver between the keyboard and laptop case (on the right side) and carefully lift it up. The keyboard is attached to the motherboard via a flat ribbon cable. 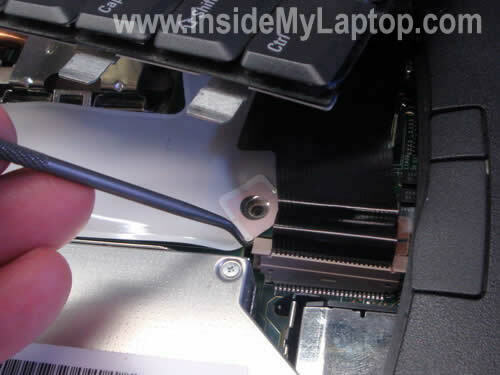 You can disconnect the cable connector from the motherboard with a small screwdriver. Carefully lift up each side of the connector. You can find a new keyboard if you search by the part number from the back of the original one. In my case the part number is 03J247. When you remove the keyboard it opens a window to the CPU heat sink. If the heat sink is clogged with dust you can blow it off with compressed air. Spray air inside the heat sink until it’s clean. I have a Dell Latitude D600 that I bought second hand. I used it 3 times and today I turned it on after a month of sitting in its case. It has no power with the AC adapter or the battery. Looks like the system board went belly up. I never had bad luck with used or refurbished equipment before this is the first time. I used it 3 times and today I turned it on after a month of sitting in its case. It has no power with the AC adapter or the battery. Could be bad AC adapter. My children have been picking at the keys on the keyboard – so if the cost is not too bad, it will be essential to replace the keyboard. 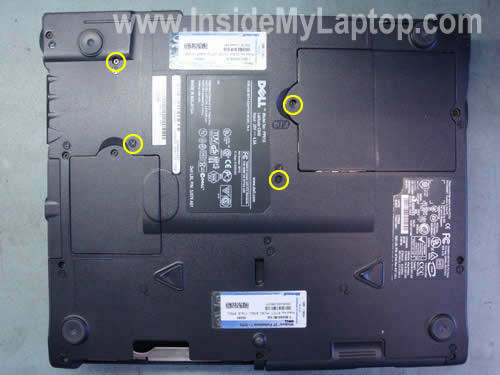 Also, my Dell latitude C840 has a crack in the screen can I replace the screen and where would I find the part? Yes, you can replace the screen yourself. 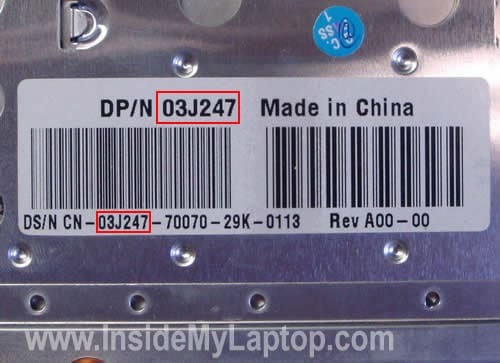 You’ll find instructions in the official service manual for Dell Latitude c840 laptops. You can search for a new LCD screen on ebay. My fan on the c840 needed replacing. While removing the keyboard I broke the plastic connector on the keyboard cable. Any chance I can buy just a connector or do I need to replace the whole keyboard? Thanks. A new problem has recently emerged with my Latitude C840. Some mornings when I push the power on button, the green lights start up on the laptop console, but nothing is sent to the external monitor (I long since removed the laptop’s screen). I have to push the power button off and try again. In most cases, the computer boots up properly, but sometimes I have to try a third time (never more). Does this mean the power button is defective? I’m afraid one day I’m not going to be able to get the laptop to turn on. Can you suggest some options? Thanks! You said the green lights start up but nothing appears on the screen, so technically the power button is working properly. I think you might have a problem with one of the memory modules, maybe it’s failing and because of that the laptop turns on without video on the screen. 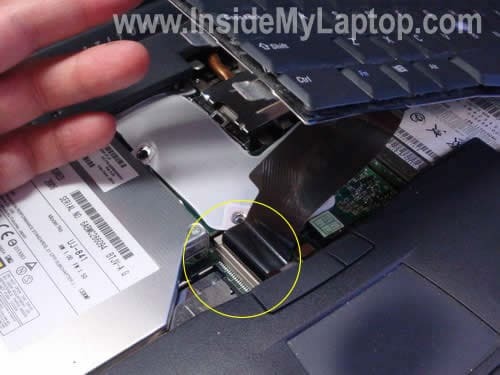 You can try removing memory modules one by one and test the laptop with each module separately. This way you can find the faulty module.